Shyna Johny hails from Pulluvila, one of the coastal village near to the Don Bosco Tech (Puthiyathura). She belongs to a very poor family living in a rented house. There are five members in her family. Her father is a fisherman; and mother is a homemaker. His father earns very limited income to survive. At the same time, he is addicted to drugs, because of that they are facing a lot of financial problems. So she could not continue her higher studies and faced a lots of problems at home. She was very bright in studies. She had a great desire to continue her studies with a good job. But she was shy in nature so due to which she is not willing to interact with people. In this situation, she heard about the skill training program at Don Bosco Tech Puthiyathura training centre through her friend. And she joined in the course Sales Associate. During the training program, she had gone through different life skills programs, which changed her completely in her attitude and stage fear. After completion of the course, she was one of the very active and smart student in the centre. She is so happy and grateful to Don Bosco Tech. 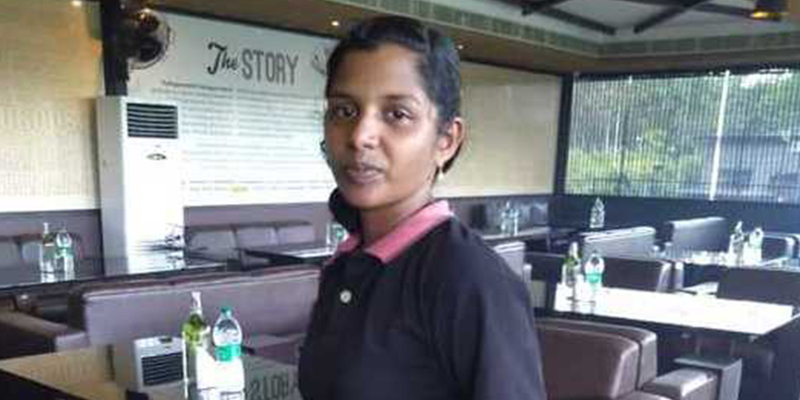 After the training period, Don Bsoco Tech assisted her to find a job in Slice of Spice (Thrissur) in Management Trainee section. Now she is earning Rs.9000 per month plus (food & accommodation) through this job. She is very happy and also thankful to the Don Bosco Tech. Don Bosco Tech gave an enriching experience to her. Now she can continue her higher study with her salary and she is able to support the family financially. She said, “I would like to express our sincere thanks to Don Bosco Tech and to the whole team."